Bitcoin’s staggering rise is becoming a threat to the worlds leading payment system providers. The rise of Bitcoin. Data as of 4th quarter 2013. Click on the image for larger picture. Source The Statistics Portal. 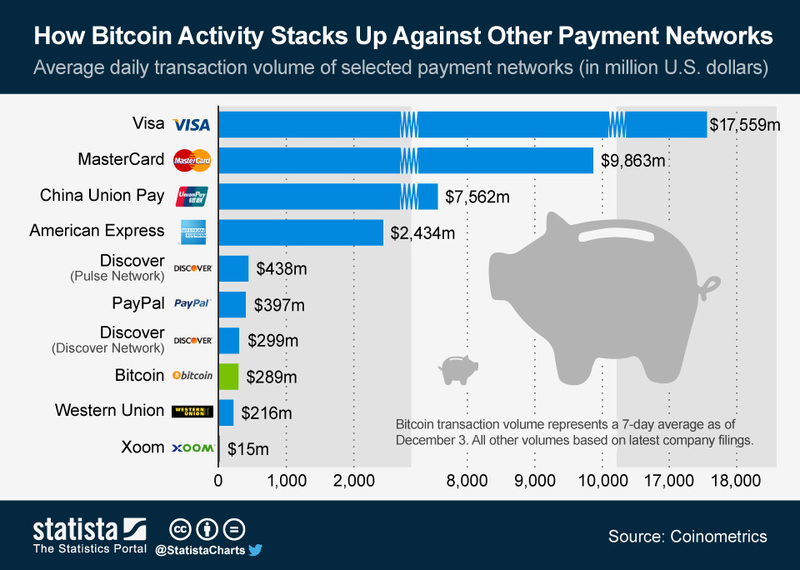 Bitcoin surpassed Western Union in transaction volume in 2013, and is likely to overtake Paypal in 2014.